Even though there have been several big budget 3D flops recently, Disney is confident it will be able to recapture the box office magic of Tim Burton‘s Alice in Wonderland which earned over $330 M, in the US alone, when it was released in 2010. The studio wisely followed the marketing strategy of Alice and is predicting a huge $80 M weekend. 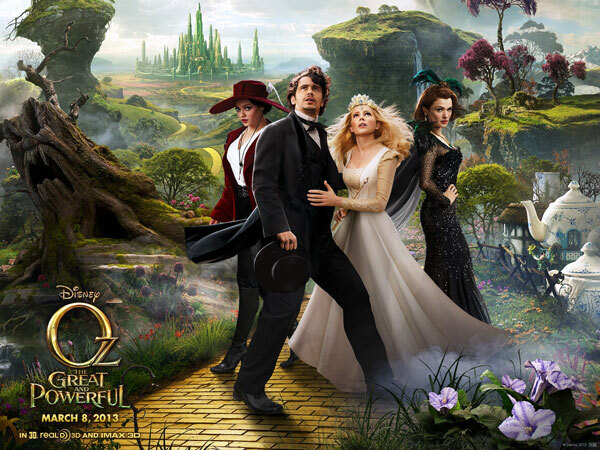 This is Disney’s first stab at a movie based on the Oz books since Return to Oz in 1985. To their credit, scribes Kapner and Lindsay-Abaire have taken pains to incorporate previously unfilmed elements from Baum’s original work. Pointedly in this version, Glinda hails from the South, not the North; the (racially diversified) Munchkins are joined by the similarly friendly but lesser-known Quadlings; and a key role is played by the fragile, all-porcelain China Girl (Joey King), who joins Oscar and his benign winged-monkey companion, Finley (voiced by Zach Braff), on their journey. In a real sense, “Oz the Great and Powerful” has a certain kinship with George Lucas’ “Star Wars” prequels, in the way it presents a beautiful but borderline-sterile digital update of a world that was richer, purer and a lot more fun in lower-tech form. Here, too, the actors often look artificially superimposed against their CG backdrops, though the intensity of the fakery generates its own visual fascination. 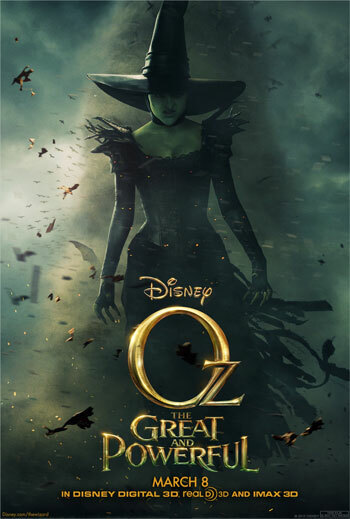 It’s all impersonally directed by Raimi (the “Spider-Man’’ trilogy), who resorts to a barrage of special effects — some admittedly impressive — in an attempt disguise the absence of the emotional resonance and coherent storytelling that made “The Wizard of Oz’’ so memorable. There’s neither subversive nor even a gleeful bone in this film’s body, which means there can be no fun in the evil or in villains being vanquished. Similarly missing is any zest to the storytelling. Quite the opposite of the great earlier film, the Oz here is a dull place to be. Given the choice, you might even consider going back to Kansas. Despite the critics’ lukewarm responses, it’s safe to say that the big budget Oz adaptation will prove to be a sound financial bet for Disney. It’s highly unlikely that the reviews will stop it from a record breaking weekend at the box office.